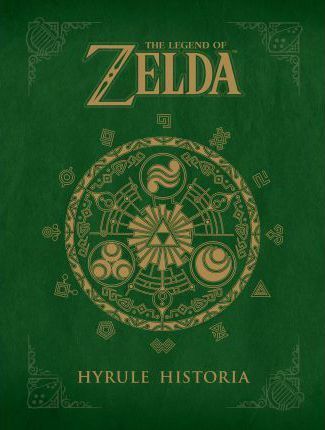 Dark Horse Books and Nintendo team up to bring you `The Legend of Zelda: Hyrule Historia`, containing an unparalleled collection of historical information on `The Legend of Zelda` franchise. This handsome hardcover contains never-before-seen concept art, the full history of Hyrule, the official chronology of the games, and much more! Starting with an insightful introduction by the legendary producer and video-game designer of Donkey Kong, Mario, and The Legend of Zelda, Shigeru Miyamoto, this book is crammed full of information about the storied history of Link's adventures from the creators themselves! As a bonus, `The Legend of Zelda: Hyrule Historia` includes an exclusive comic by the foremost creator of `The Legend of Zelda` manga - Akira Himekawa! Eiji Aonuma is a Nintendo game designer, director, and producer. He is the series producer and manager of The Legend of Zelda and won the Golden Joystick Awards' Lifetime Achievement Award in 2016. Akira Himekawa is the pseudonym of two female comic book and manga artists who have collaborated together since 1991. Their illustrating credits include The Legend of Zelda series, Astro Boy, and The Dragon Dreams of Twilight.